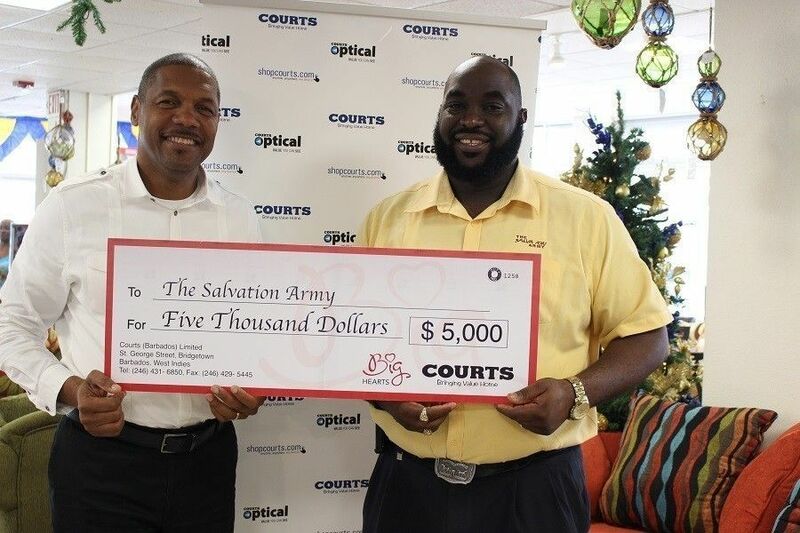 During the month of December 2016, Courts Barbados Limited generously donated $5000 to the Salvation Army Christmas Kettle Appeal. The funds collected from the Kettle Appeal are used to advance various community initiatives from the Salvation Army and assist those in need. 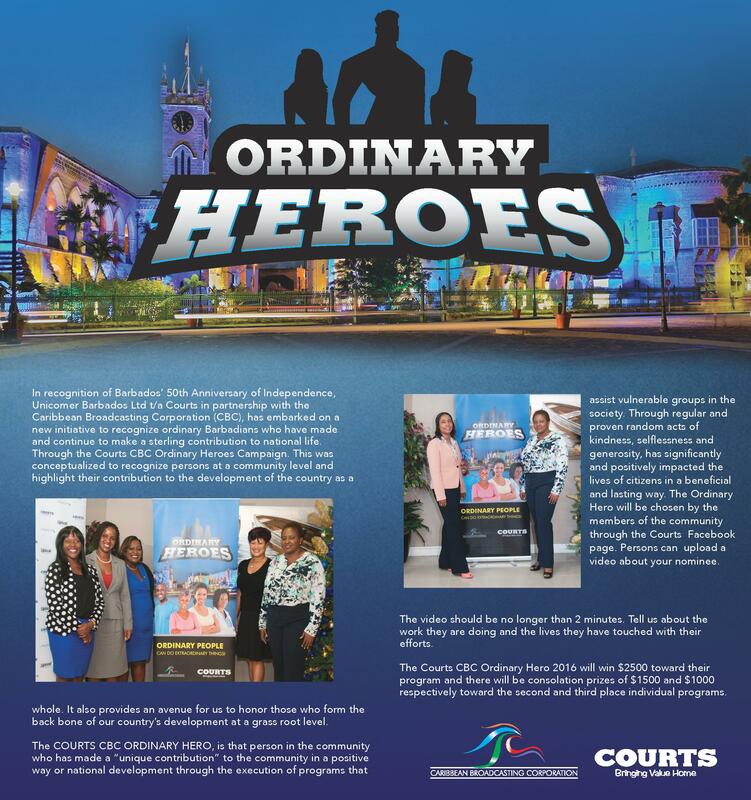 Courts is pleased to be a part of this worthy initiative. 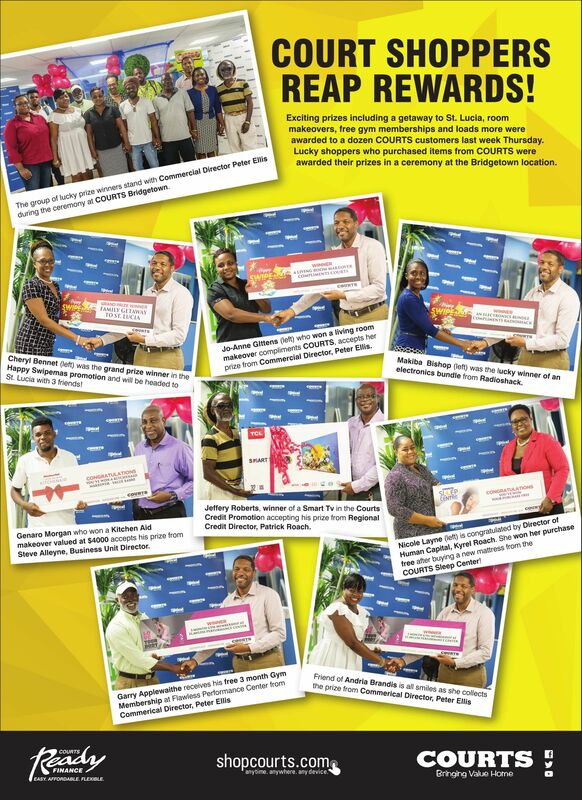 As part of their Big Hearts Corporate Social Responsibility Program, Unicomer Barbados has assisted the Sunshine Early Stimulation Centre and John Payne Special needs schools by donating 5 laptops and 4 Ipads. The schools are full service special needs schools catering to children from age one (1) year to eleven (11) years. The students all have varying special needs ranging from physical challenges such as Cerebral Palsy and Developmental Delays to Autism and Down syndrome. 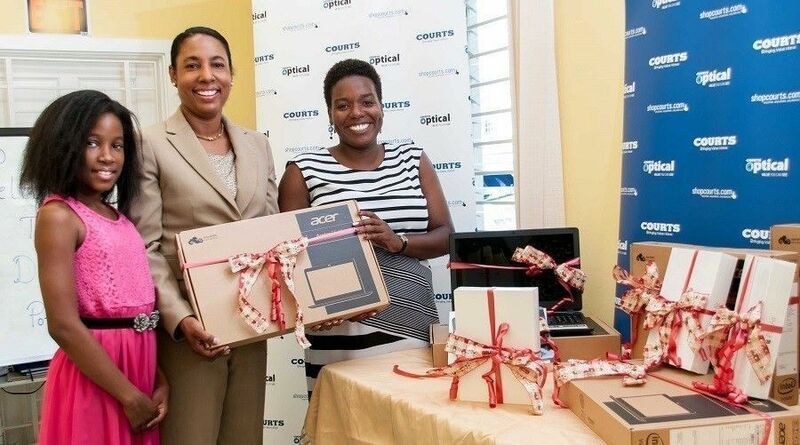 The Laptops and Ipads donated by Unicomer will be used to outfit their new IT Lab called The Discovery Portal. This labwill offer the students the opportunity to take part in interactive learning activities and programs specific to their individual needs. 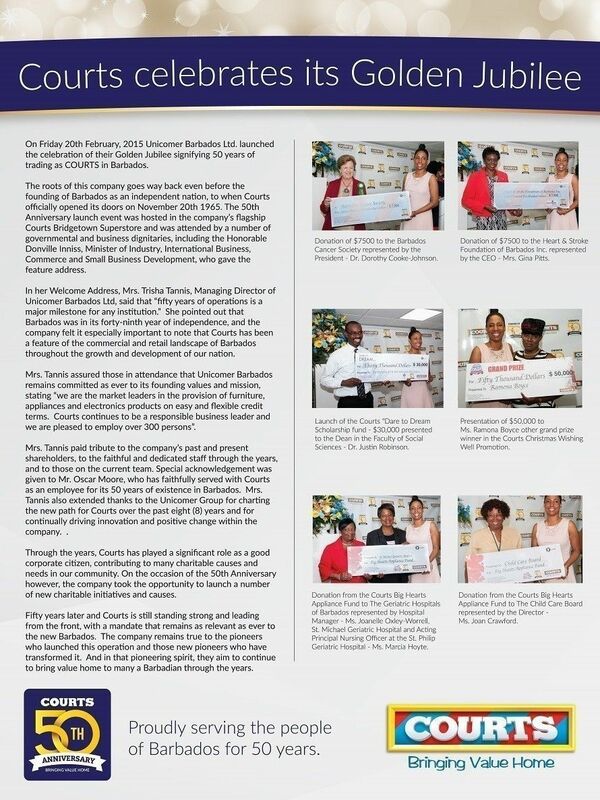 Sunshine Centre and John Payne School lauded Unicomer Barbados for their support and emphasized the need for more support from corporate Barbados in initiatives like this. SHE BOUGHT a Frigidaire refrigerator for her sister and then “forgot about it”. 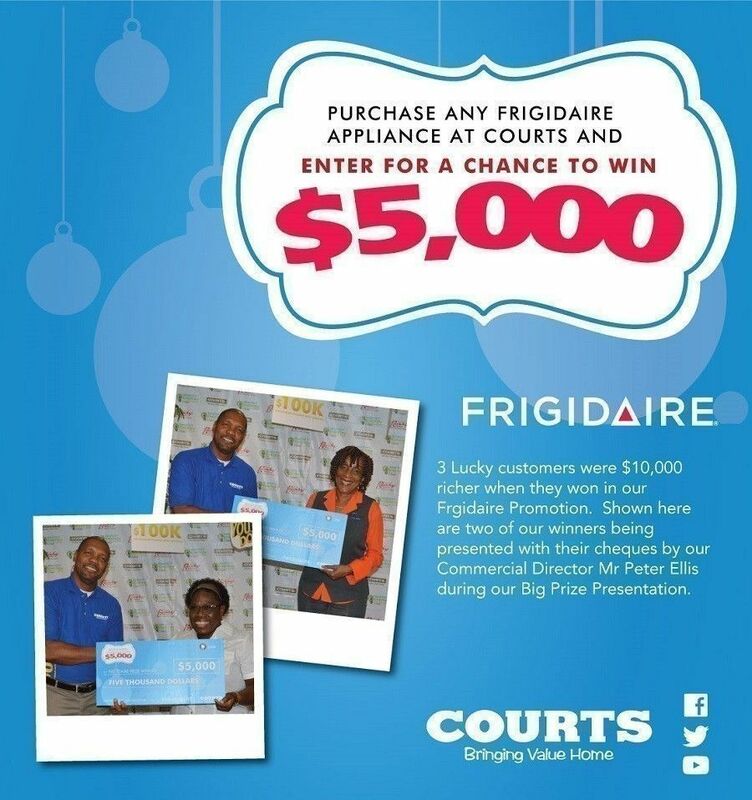 And yesterday, Deborah Jones-Wilson was “rewarded” for her filial gift when she was announced as the Courts Frigidaire prize winner of $16,000 cash. 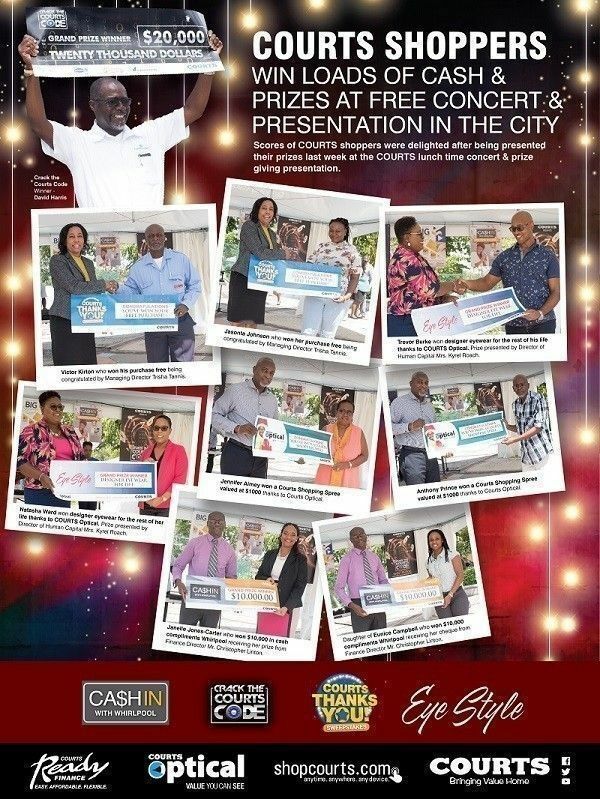 Jones-Wilson, who said she was elated to be the cash winner, especially at Christmas, said she planned to share some of the money and use the remainder “prudently”. 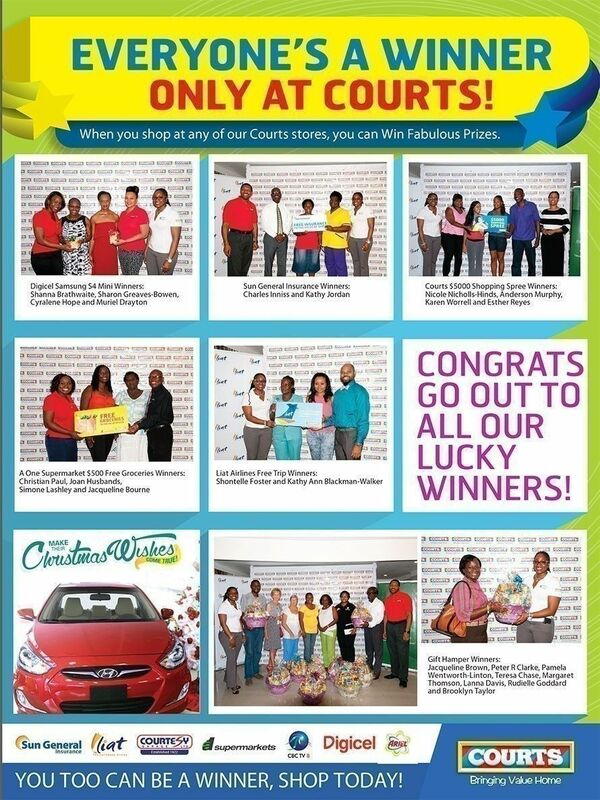 Also being presented with prizes were six people who won an Empire Red KitchenAid Baking Stand, in a promotion that ran during the Barbados Food & Wine And Rum Festival, as well as six people who won free groceries in a weekly promotion with Carlton and A1 Supermarket. 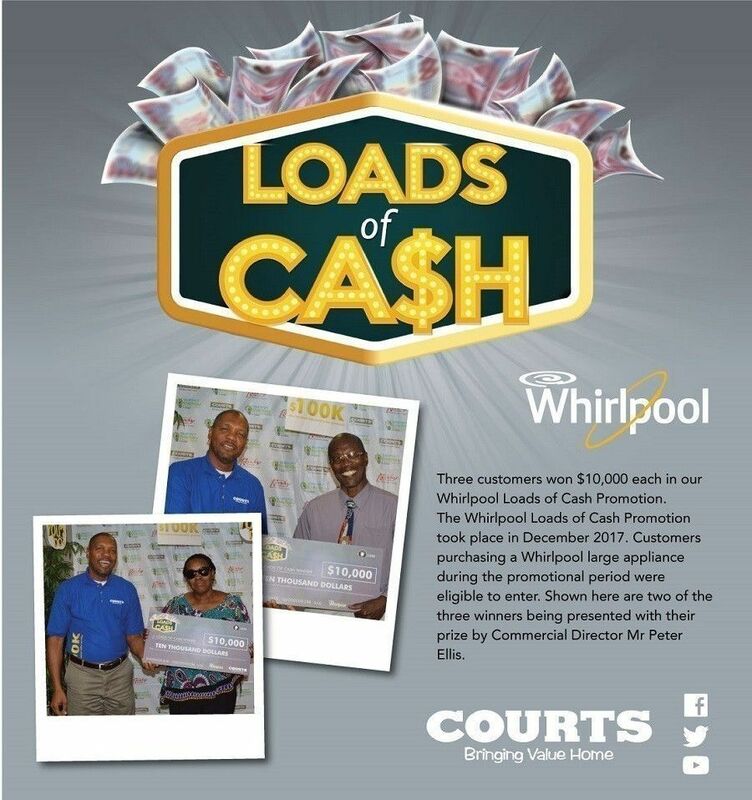 Commercial director at Courts (Barbados), Peter Ellis, said the response to the promotions was great, even though sluggish at first. 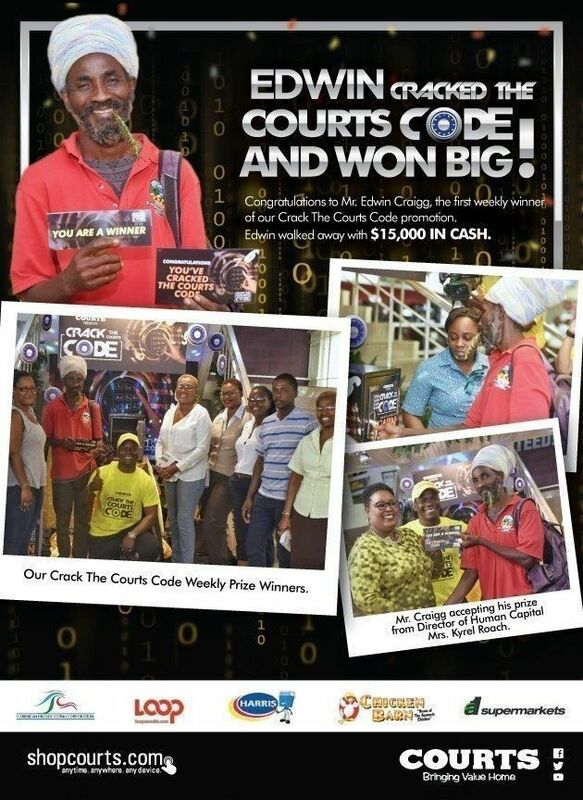 He added that the Courts’ Black Friday promotion was fantastic. 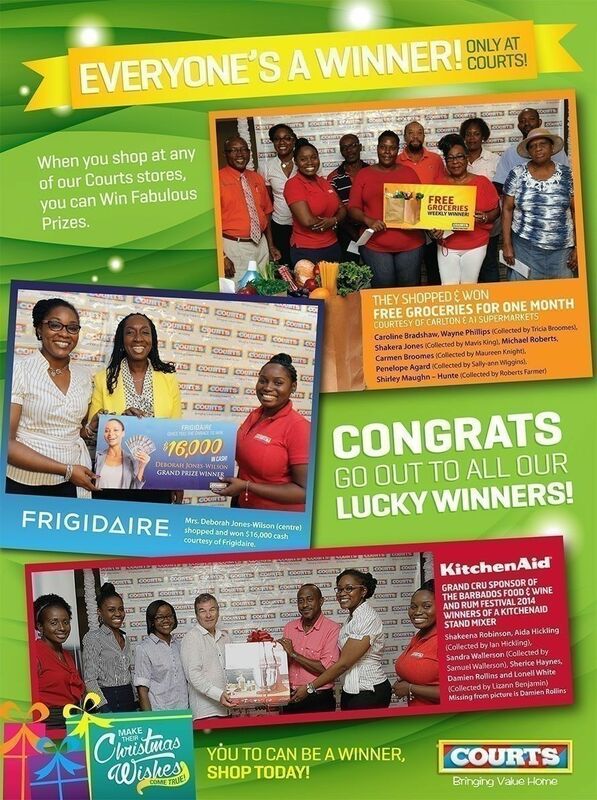 RETAIL GIANT Courts Barbados Ltd yesterday unveiled its Smart Energy range of appliances at its Bridgetown store. Managing director Tricia Tannis told those gathered that Unicomer Barbados, which trades as Courts, had made a strong commitment to expanding its renewable energy infrastructure, as well as its energy efficient and renewable energy products. 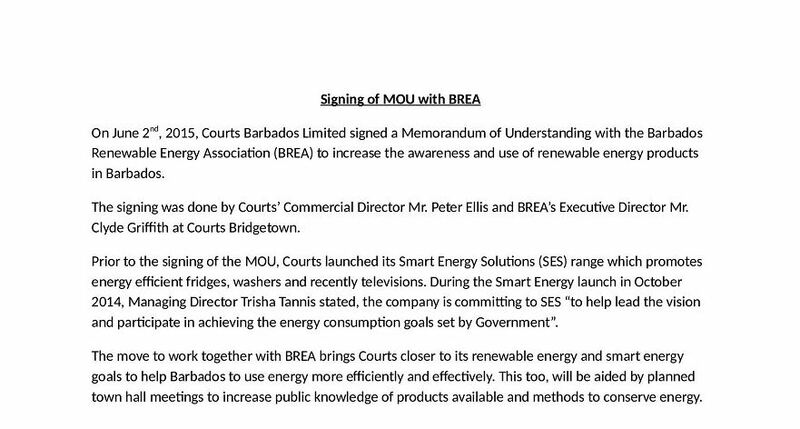 The company was doing this, she said, “to help lead the vision and participate in achieving the energy consumption goals set by Government”. 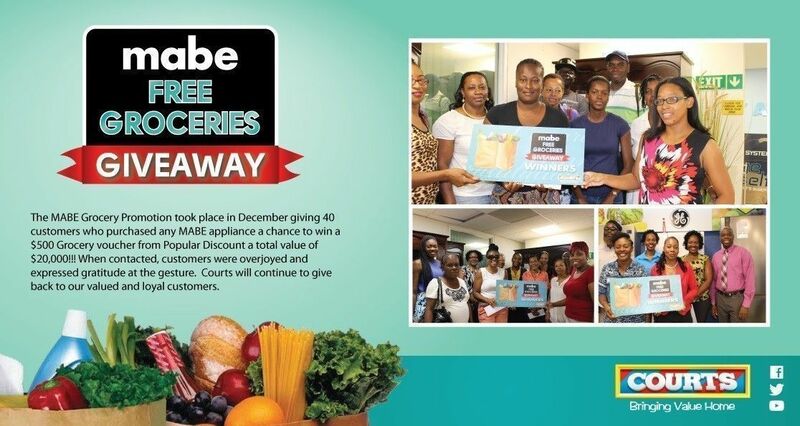 As she referred to the rising cost of electricity in Barbados, which she said was among the highest in the world, she added: “These high energy costs force customers to use a significant percentage of their disposable incomes in electricity consumption. 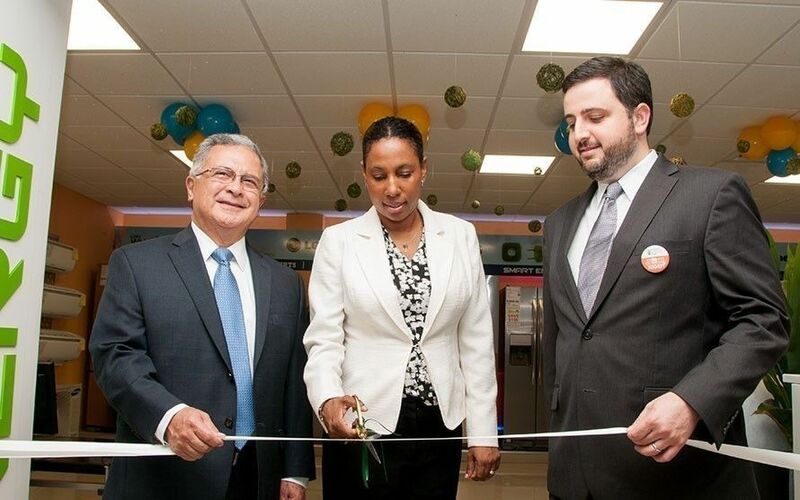 “Our aim, with this launch, is also to stimulate more demand for energy consumption reduction and great cost savings,” Tannis said, adding that the store was committed to providing “viable and innovative product solutions for today’s consumer”. 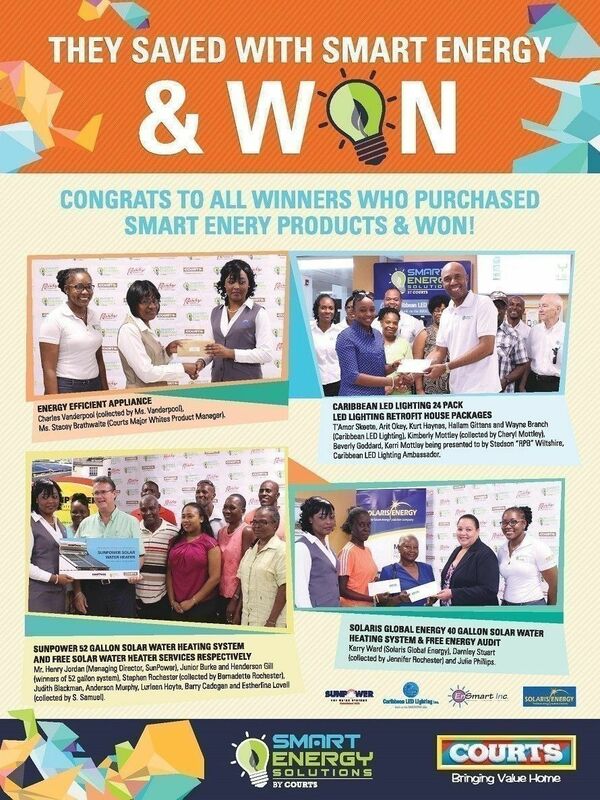 She revealed that Unicomer (Barbados) would install a 75 kwp photovoltaic system in its plants in the new year; it had become a member of the Barbados Renewable Energy Association and was committed to continuously educating its team so they would be better able to inform customers. 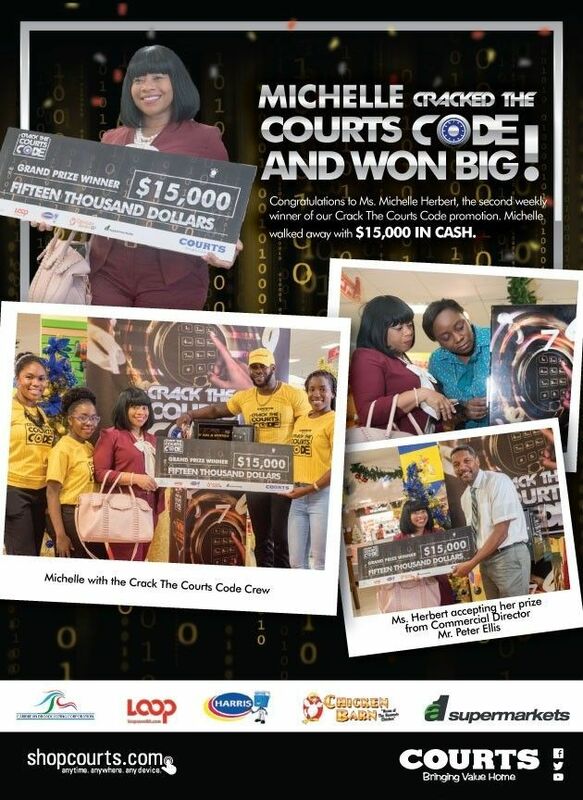 Mario Guerrero, Managing Director - Unicomer Caribbean (left), Trisha Tannis, Managing Director - Unicomer Barbados (center) and Felix Siman - Managing Director of Business Development, Unicomer (right) launching Courts Smart Energy. 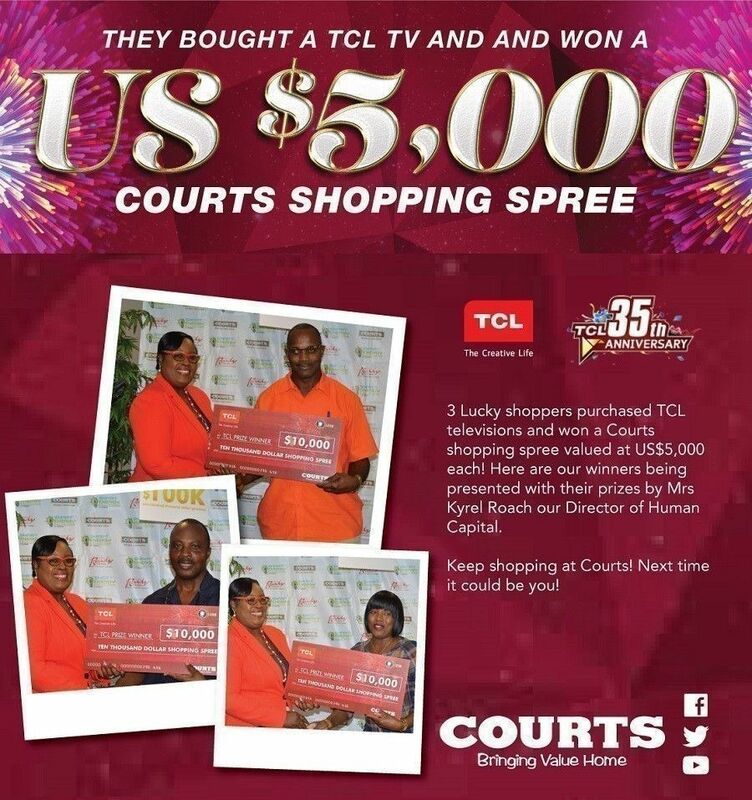 COURTS’ BRIDGETOWN STORE was the place to be yesterday for Barbadian fans of the Limacol Caribbean Premier League (CPL) T20 cricket tournament, as three players from the Barbados Tridents – Kirk Edwards, Jason Holder and Shoaib Malik – were there for the Courts Best Seat In The House event. 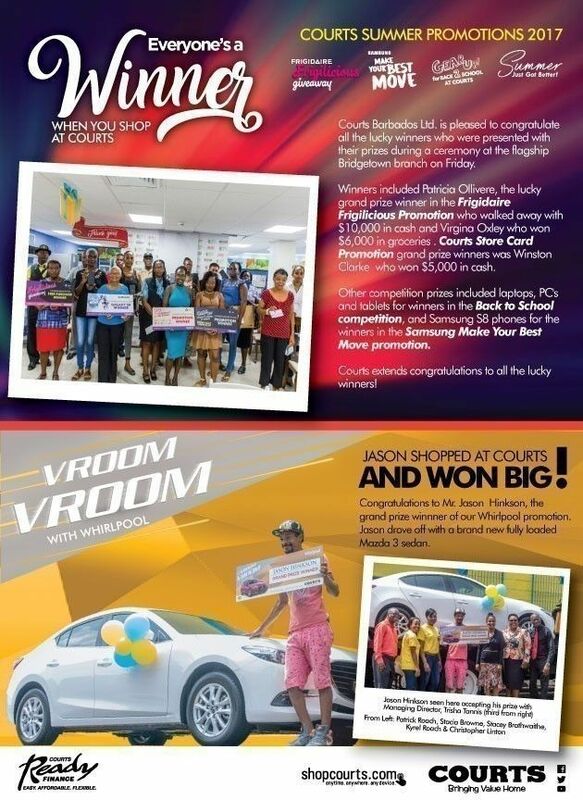 The players met with radio personalities Dennis Johnson and Carol Roberts for a live interview on Starcom Network regarding their individual performances on the team after the first two matches in Antigua last week. 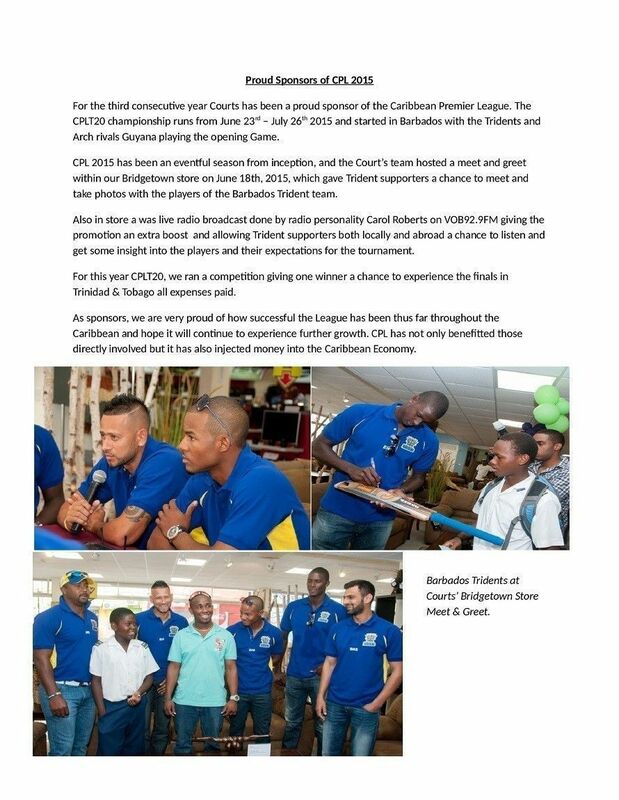 Johnson and Roberts were especially eager to interview the international player from Pakistan, Malik, who admitted that he feels like he’s been living in Barbados for an entire year, since being a member of the team from the first CPL tournament last year. “Players are very loving, they gave me a lot of support,” said Malik. 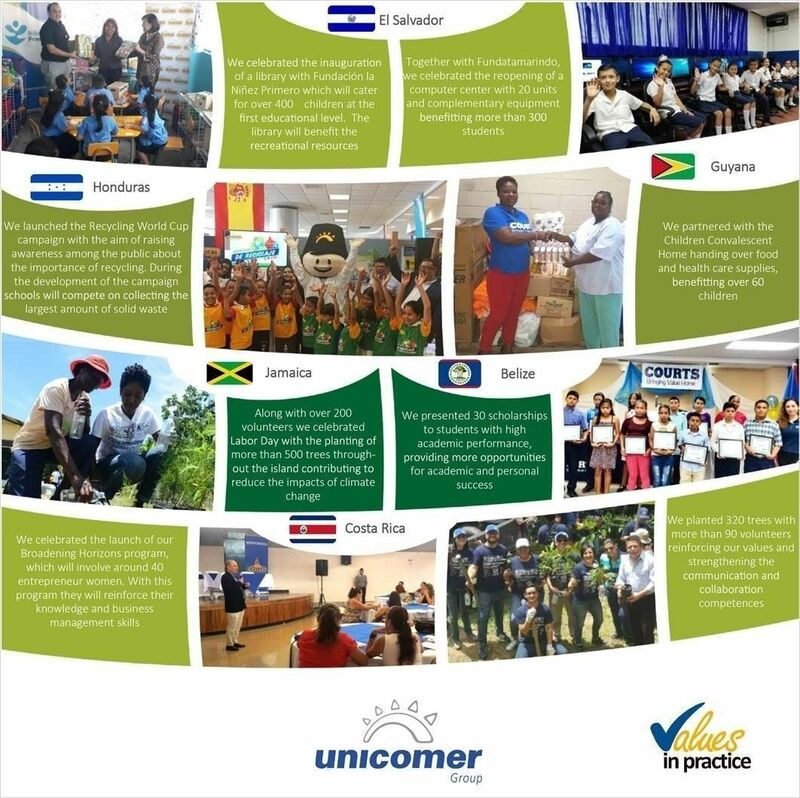 ARCADIA, Wis. – Unicomer Caribbean Group recently opened 13 Ashley Galleries in 10 countries; mainly in Jamaica, Trinidad and Tobago, Barbados, Guyana, and the six OECS countries. 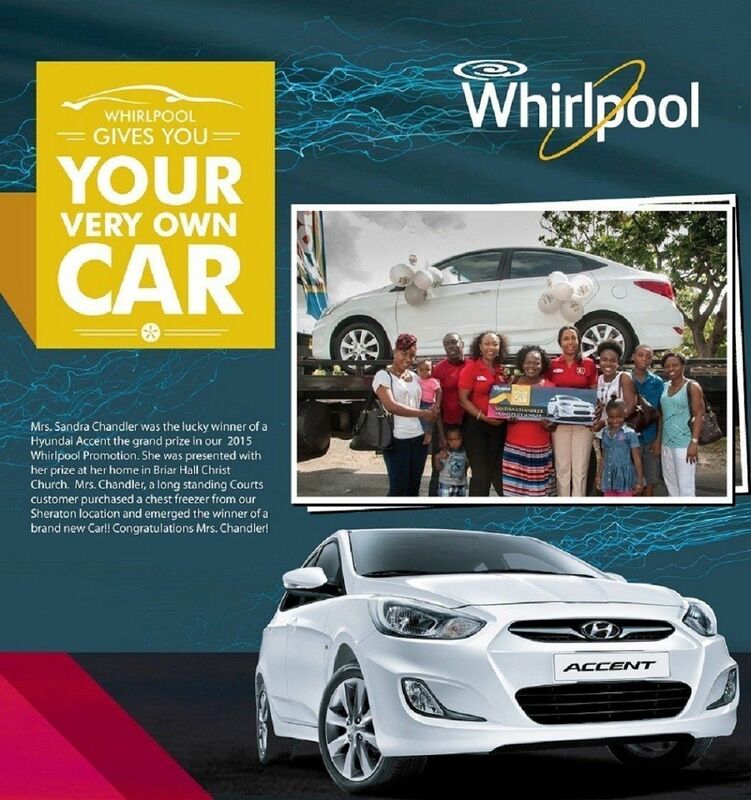 The Unicomer Caribbean Group operates 118 appliance and furniture stores, throughout the Caribbean. Ashley is the largest furniture manufacturer in North America and has been steadily growing its international presence, selling furniture in 123 countries across the globe. “We are a vertically integrated company that focuses our attention on providing the best furniture values and meeting the needs of our customers,” stated Todd Wanek, Ashley’s President and CEO. “Our goal is to develop a strong relationship with all of our global retail partners and to make them successful. 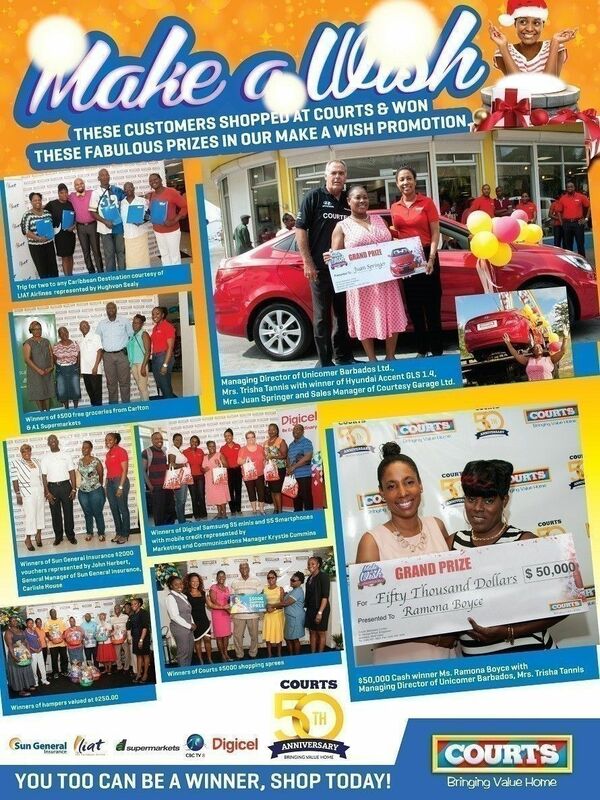 Ashley Galleries have been opened at Courts Bridgetown Store. Ashley Furniture Industries, Inc. (Ashley) is the largest furniture manufacturer in North America and one of the largest in the world. Established in 1945, Ashley offers one of the industry’s broadest product assortments to retail partners in 123 countries. From design through fulfillment, Ashley continuously strives to provide the best values, selection and service in the furniture industry. For more information on Ashley and its products, visit www.ashleyfurniture.com or www.ashley.com.cn. 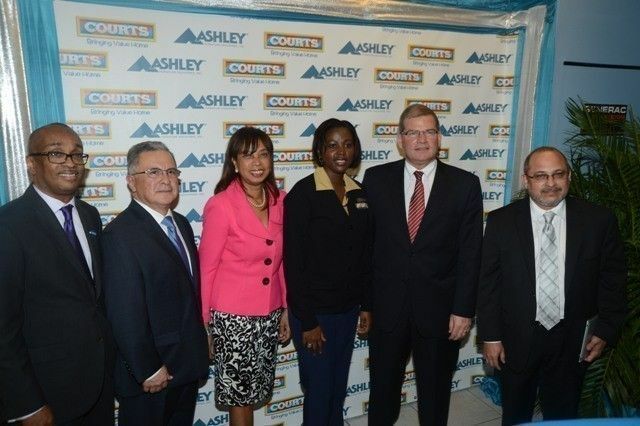 Opening of the Ashley Gallery at the Courts Liguanea store, Jamaica: (L-R) Managing Director Courts Jamaica, Dennis Harris, CEO Courts Caribbean, Mario Guerrero, The Honourable Minister of State Ministry of Industry, Investment & Commerce, Jamaica, Sharon Ffolkes-Abrahams, President, International Sales Operations, Ashley Furniture Industries, Chuck Spang, Courts Liguanea Branch Manager, Sancia Plummer-Fletcher. 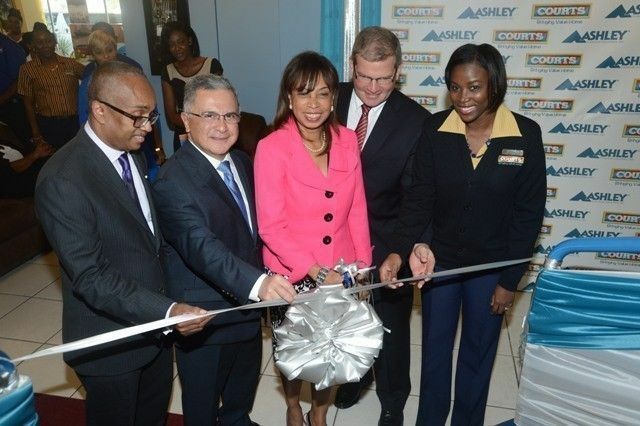 Opening of the Ashley Gallery at the Courts Liguanea store, Jamaica: (L-R) Managing Director Courts Jamaica, Dennis Harris, CEO Courts Caribbean, Mario Guerrero, The Honourable Minister of State Ministry of Industry, Investment & Commerce, Jamaica, Sharon Ffolkes-Abrahams, Courts Liguanea Branch Manager, Sancia Plummer-Fletcher, President, International Sales Operations, Ashley Furniture Industries, Chuck Spang, International Marketing Specialist, Ashley Furniture Industries, Jesus Dacal. 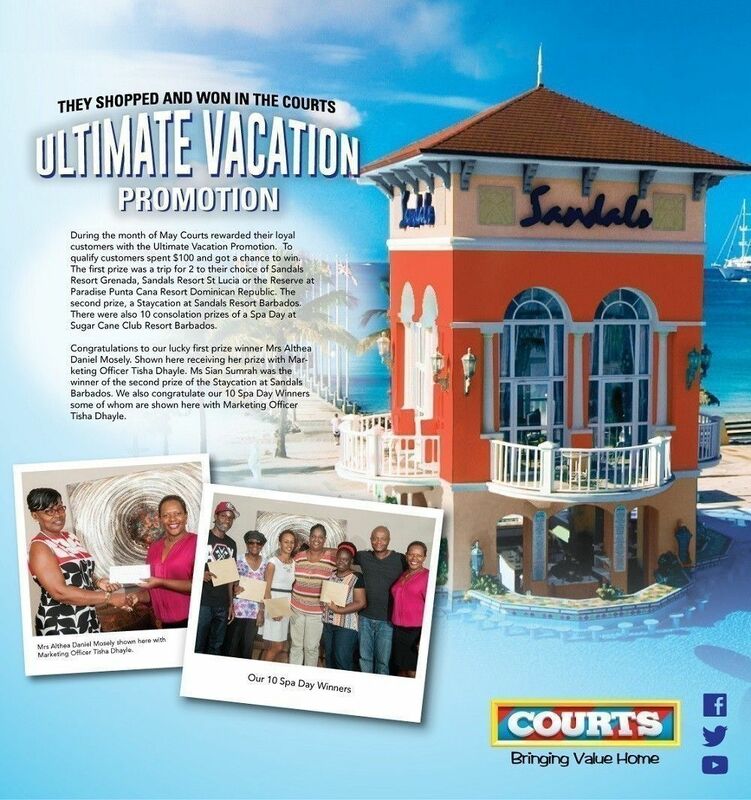 THE OWNERS OF COURTS STORES are not daunted by a slow economy, and will instead ramp up their advertising and marketing despite looming public sector lay-offs. 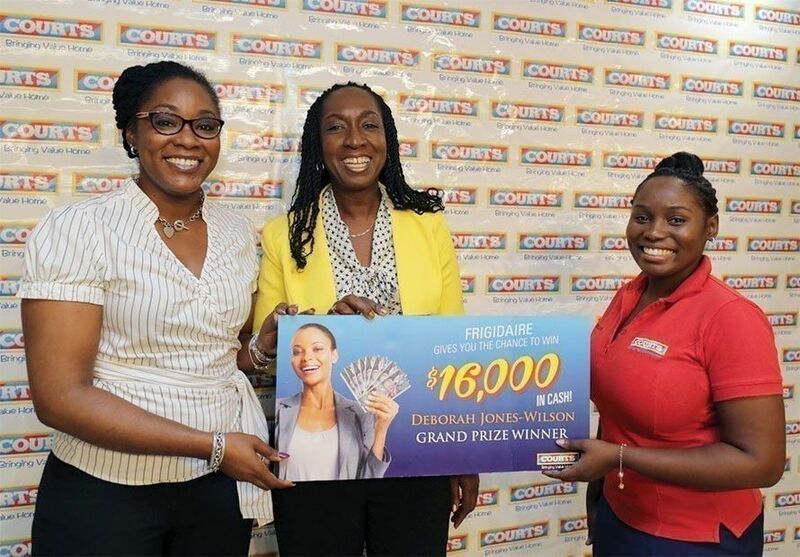 Trisha Tannis, managing director of Unicomer Barbados, which trades as Courts, told the MIDWEEK NATION yesterday that its aggressive approach to the market which started last year would likely continue in 2014 even as the disposable income of many Barbadians comes under increasing pressure. “In difficult times you have to be more aggressive. And that is the short answer,” Tannis said, noting that the approximately 250 employees and management of the furniture and appliance company were prepared to push sales even as some expressed fear for the future. 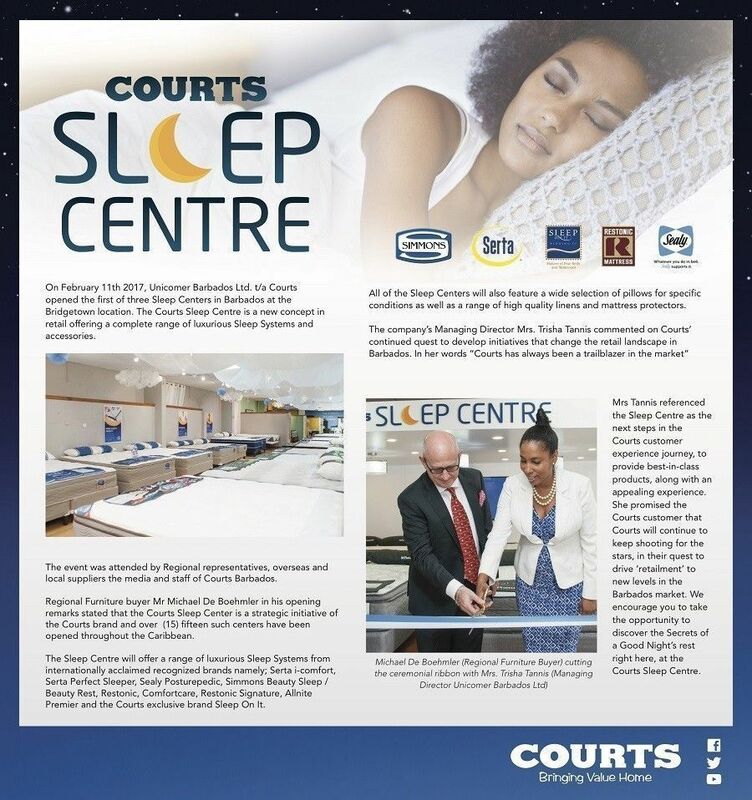 Courts stores launched an advertising blitz that started as early as last October and continued into the new year, splashing out thousands of dollars in print, radio and television advertising. 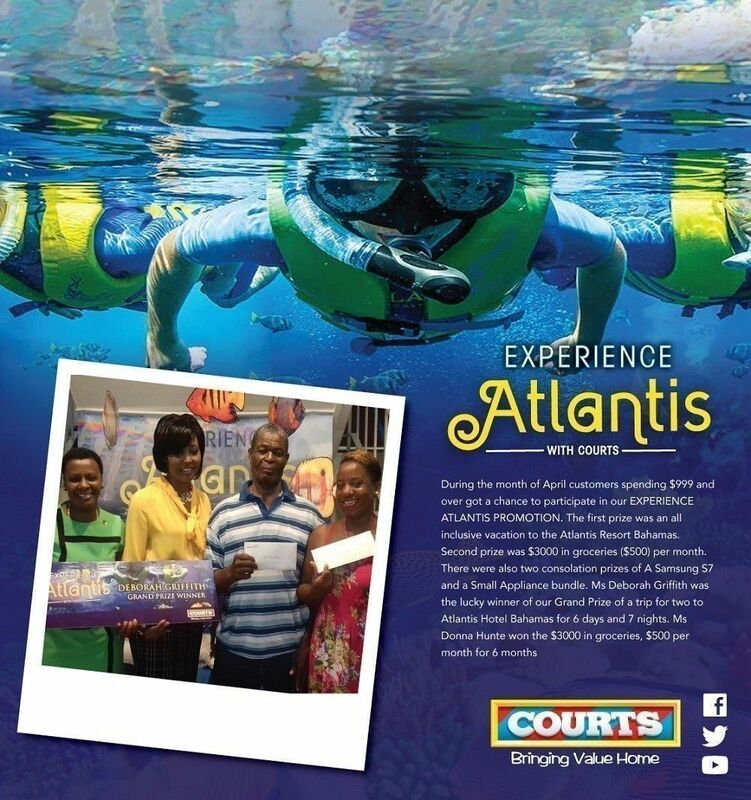 Tannis did not say how much the company expended in marketing and advertising, but its advertising presence dominated all retailers in the country. She added the company’s philosophy was rooted in remaining positive despite the conditions. 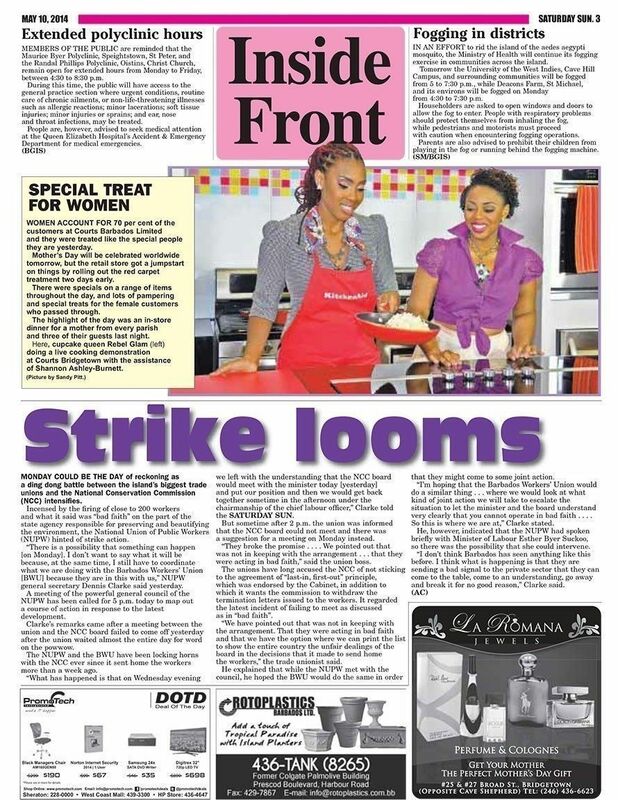 “We get up every morning, we come to work and we don’t let the economic conditions overwhelm us. There are certain realities, yes, but the only question is how you respond . . . . [We] don’t take it lying down. We take it as an opportunity to be innovative,” she said. 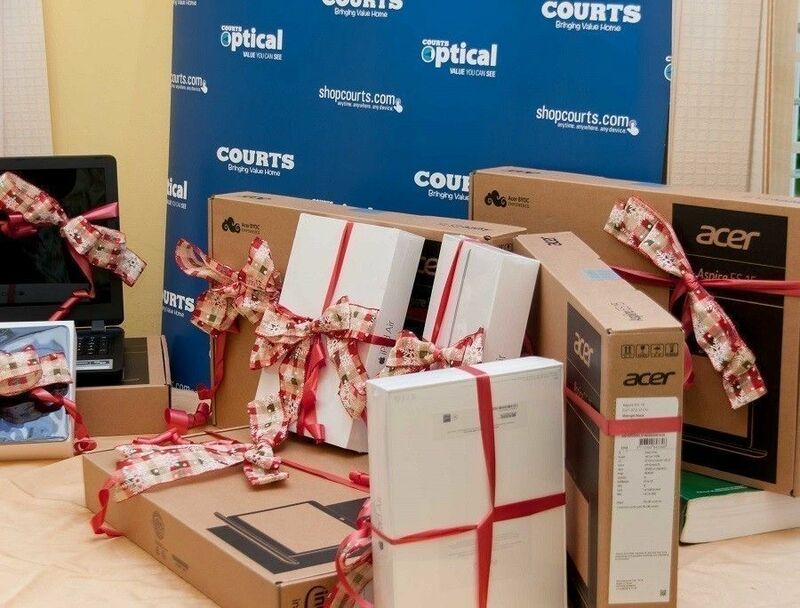 THE MUCH ANTICIPATED Courts Optical store will be officially opened tomorrow in a ribbon cutting ceremony at the Courts Bridgetown superstore at 5 p.m.
Minister of Industry, International Business,Commerce and Small Business Development, Donville Inniss and president of the Barbados Chamber of Commerce and Industry, Lalu Vaswani, are expected to join managing director of Unicomer (Barbados) Limited, Trisha Tannis, specially invited guests and customers, to mark this auspicious occasion. 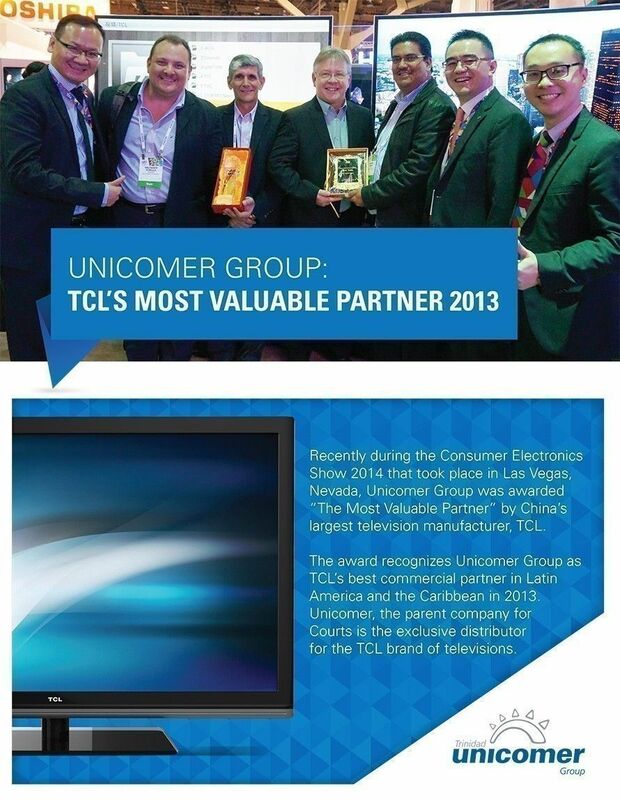 The Unicomer group has been in the optical industry for more than 15 years and has 17 stores in the Caribbean. Friday’s launch event has been themed Crystal Clear and will include a red carpet eyewear fashion show among other entertainment delights. All are invited. Some of the island's leading department stores and retailers have stepped up their strategies to attract struggling shoppers. 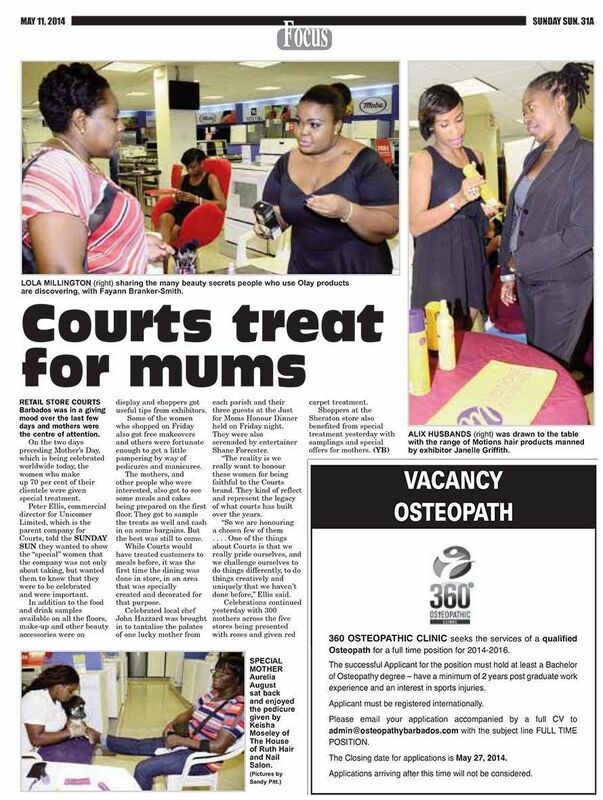 From offering longer payment terms on hire purchases to forming partnerships with other retail stores, and in some cases slashing instalments, store owners admitted that they were trying their best to assist potential customers. 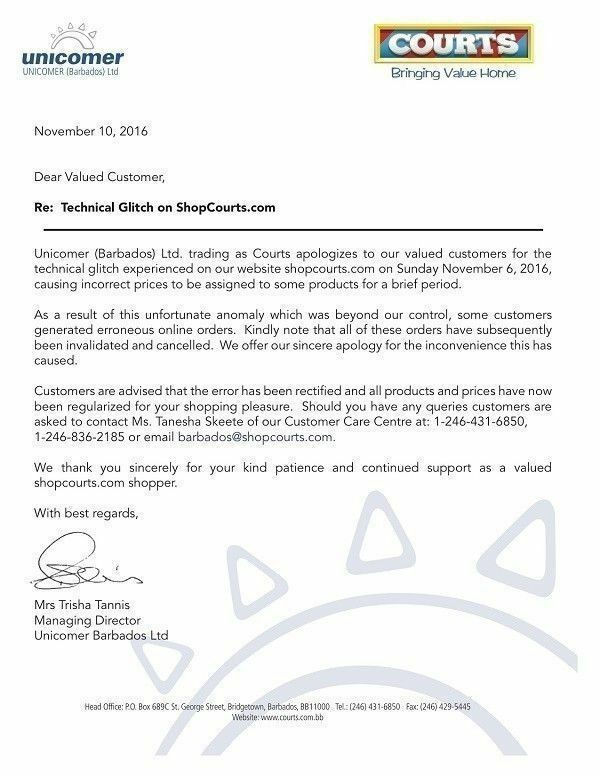 Trisha Tannis, managing director of Unicomer (Barbados) Ltd, trading as Courts, said that the company was showing "a very high level of sensitivity" to customers by offering "flexible hire purchase plans". Tannis explained that the furniture, appliance and electronic store was to some extent allowing customers to "determing the level of spending that they can afford and we work to tailor a plan around that affordability for them. It is even more important in the season that we are in that we are in that we offer that flexibility...". She said the company, as a group, also had a policy to assist customers during catastrophes. The furniture giant offers a redundancy and hospitalization component among its suite of benefits. 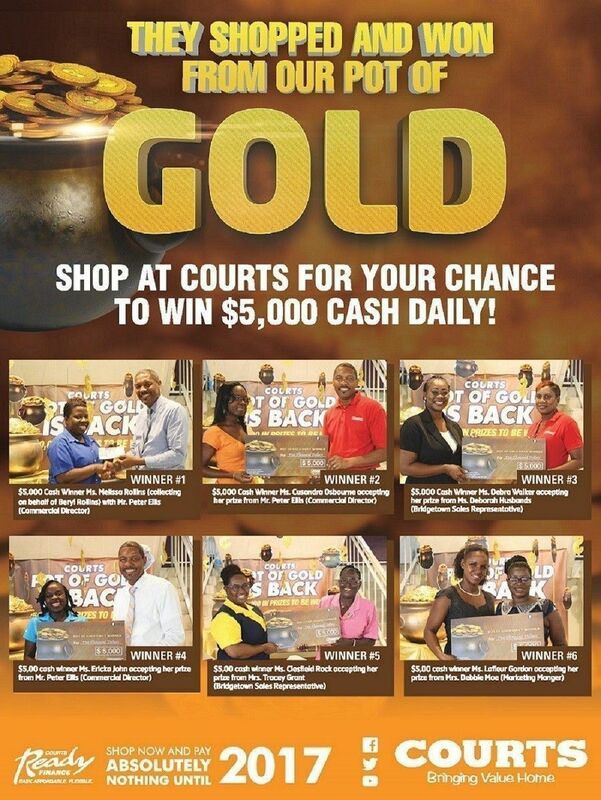 "These offer people a great deal of confidence to shop in and out of recessionary times. Should they lose their jobs or should they be hospitalized they can rest assured that once they come forward and make their claims that we can settle in our predefined numbers of payments on their behalf. "So that continues to be a part of what we do and we push that more aggressively now in these times," said Tannis. In relation to delinquency, Tannis said the store encouraged dialogue. 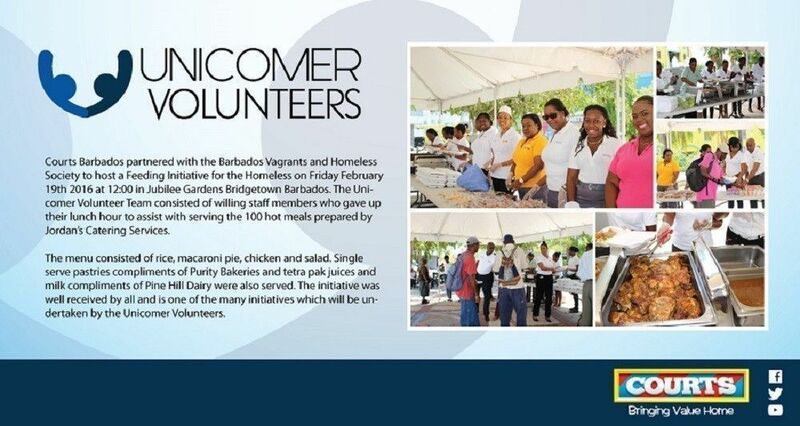 "We encourage them to come and let us know proactively and we have been refinancing those arrangements again, stretching it as far as possible so they can settle on something they can live with until their circumstances improve," she said. She said there were "very limited cases" of repossession of items. 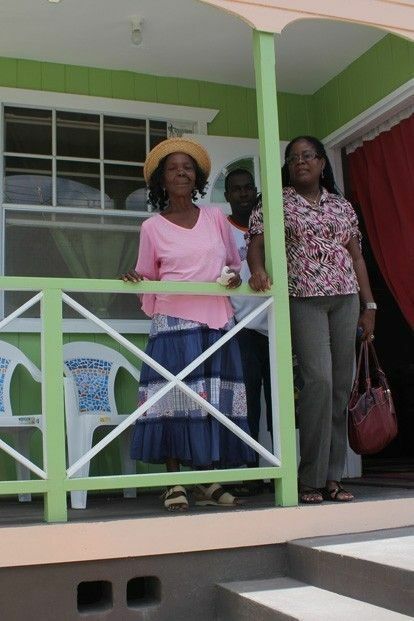 SEVENTY-FOUR-YEAR-OLD Gertrude Delort should be sleeping more comfortably now that she has the keys to her new home, fully furnished with modern amenities. Last Friday, thankful Delort accepted the keys to the home from the Urban Development Commission’s Housing coordinator Colvin Mascoll and in gratitude thanked everyone who helped her secure more comfortable and sanitary living conditions. Delort was renting a home at Dukes Alley, The City, with a dilapidated roof and unsuitable bathroom and water facilities. 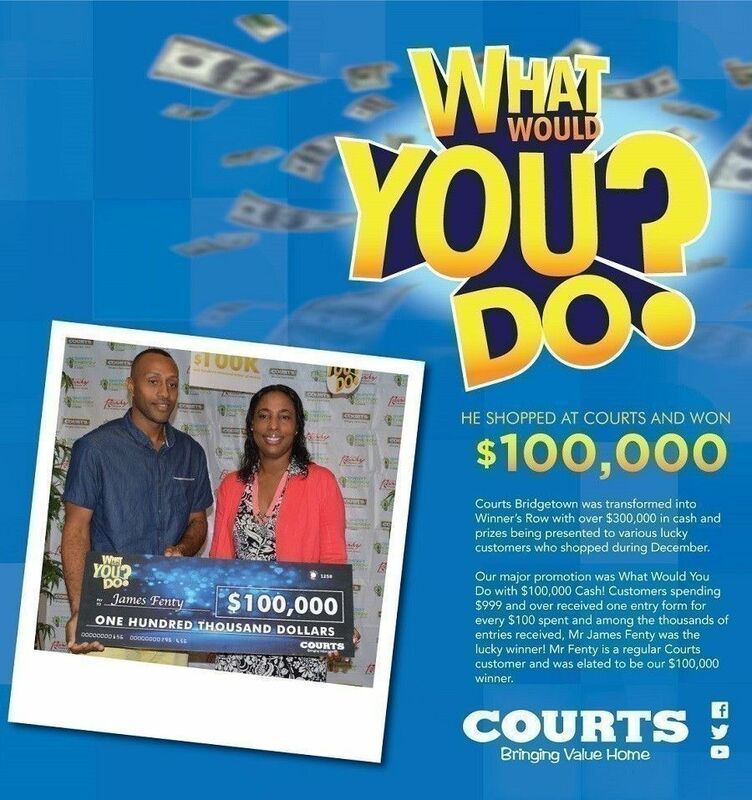 Thanks to Courts Barbados Limited, she does not have to worry about furnishing the two-bedroom, one-bathroom house at Hunte’s Street near Baxters Road, which is already outfitted with appliances and electricals from the store. This is the fourth housing project undertaken by Courts, which previously assisted elderly Dorothy Bradshaw, Evans Linton and Charles Ward. “I was not expecting so much. I was delivered from a place I never liked . . . to come into this beautiful place. I love you guys, and I thank you very much. I leave the rest to God to take care of you all,” thankful Delort said.